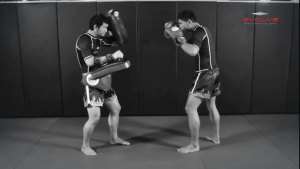 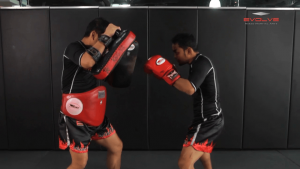 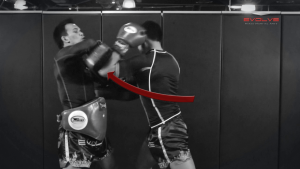 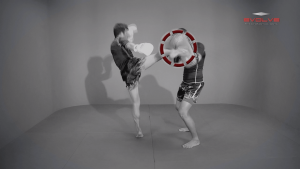 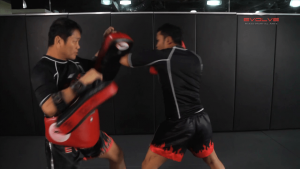 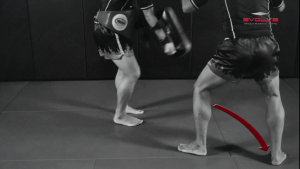 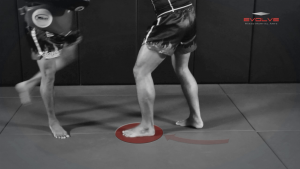 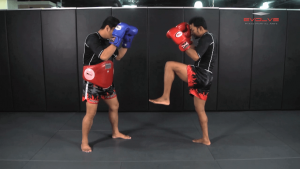 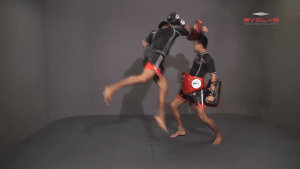 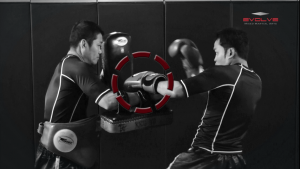 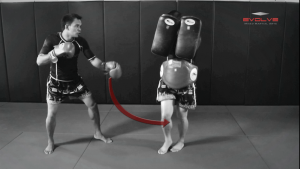 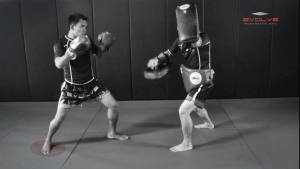 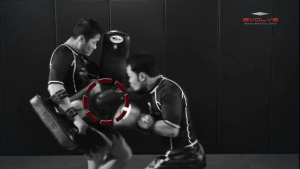 In this video, renowned trainer of Muay Thai World Champions Saknarong Sityodtong teaches one of his favorite techniques. 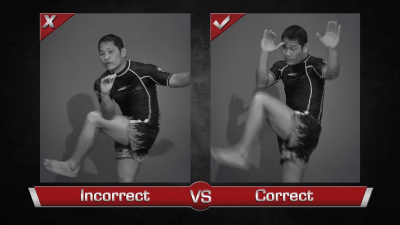 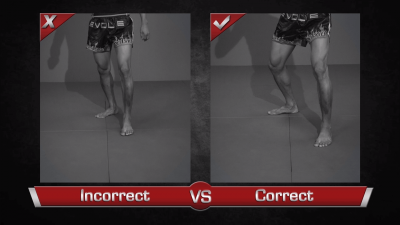 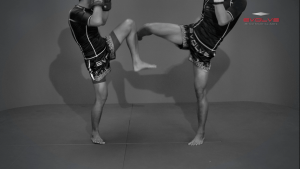 When the opponent comes forward to deliver a left kick, Saknarong defends with a cross block and then delivers a right kick of his own. 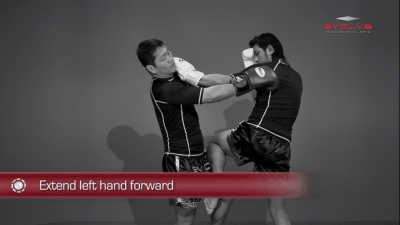 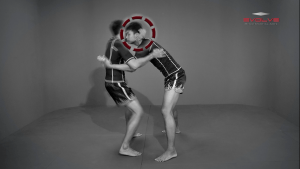 This technique illustrates the importance of transitioning among defensive and offensive techniques. 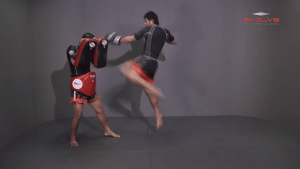 Whenever an opponent attacks, you must answer with a counterattack.